The Champions Cup is back after the post-traumatic stress suffered from the Six Nations campaign and with all four provinces in action this weekend, there’s a lot to look forward to with Will Slattery, Cian Tracey and Luke Fitzgerald previewing all the action on this week's episode of The Left Wing. The inter-pro tie between Leinster and Ulster is the pick of the quarter finals while the panel reckons Edinburgh v Munster will also be a tight game, with Edinburgh’s own Scottish internationals coming back buoyed after their draw against England. The lads are all going for Leinster and Munster to win while Connacht’s chances in the Challenge Cup depend strongly on how much they rotate their team. Plus, after the news that Paul O'Connell will not be staying on at Stade Francis, does he have a future in coaching? 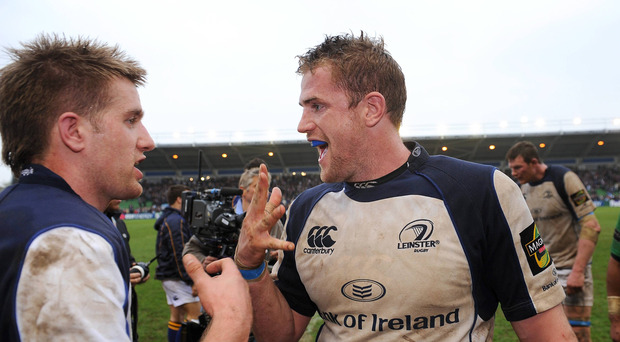 And on the 10th anniversary of the infamous ‘Bloodgate’ game between Harlequins and Leinster, Will and Luke look back on that match and the fall-out and aftermath from it all.